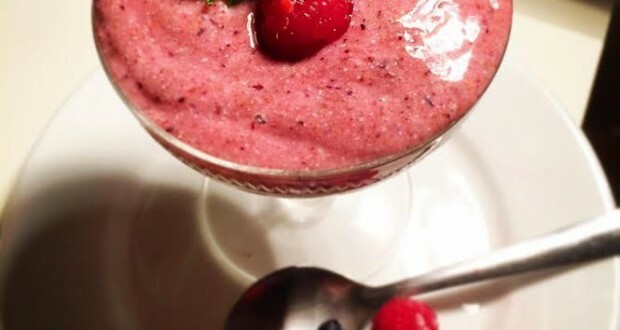 I love this recipe for a fresh new take on desert or breakfast with a smile 🙂 A blend of chia seeds, fresh berries, coconut milk and lemon juice with a pinch of cardamom makes this a nutritious kick of goodness! High in Omega 3s, fibre and protein, this bad boy has got it all! Combine the chia seeds and milk and pop in the fridge for a few hours (or overnight) until they form into a gel. Combine the chia seeds with the remaining ingredients and blend in nutribullet or blender. Serve straight away with fresh berries!